Where are you? 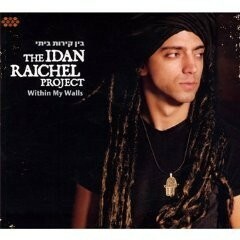 Home > Reviews > The Idan Raichel Project - "Within My Walls"
Second International release from Israeli composer and keyboard player Idan Raichel further developing his range of influences so that Israeli/Middle Eastern fuses into a wider global soundscape. Sung in Hebrew, Arabic, Cape Verdean (Mayra Andrade is a songwriting collaborator) Creole, Spanish and Swahili you get a feel of the diversity with other collaborators including Marta Gomez, Somi, Zohar Fresco and Alon Nadel plus a 24 piece orchestra.